Executive Director of Body Basics. Dana has perfected deep therapeutic and soft tissue manipulation with a distinctive combination of modalities and diversified techniques. She has remarkable knowledge of body alignment and muscular compression. Many of her clients come in for Chronic Pain, Medical or Sports treatments. She is experienced in various modalities including Thai Massage, Pre & Post pregnancy, Medical, Chronic Pain, Myofascial Release, Pressure Point Therapy, Sports and NMT. In 1996 she had the wonderful pleasure of working on the New York Giants. As our coordinator, Dana has displayed expertise in addressing a variety of needs for both the individual and corporate clientele with ease and satisfaction. Quote: If you're not happy, Change it! Maureen M: Maureen has an excellent talent for bodywork. She has 15 years of experience, and combines deep tissue work with knowledge and intuition about the body. She has vast experience in MFR, Passive-Aggressive Stretching and of course Sports and Pain relief. You will walk out feeling foot loose and fancy free!! 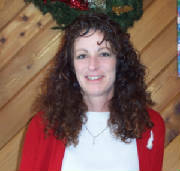 Diane B: Diane is not only our office manager, she does treatments as well. She is experienced in Ion Cleanse, Ear Coning and Various Body Wraps. She has a bubbly personality and you will walk away happy after your treatment.